Last month we discussed ways in which you can make the best of a business expo when forced to go alone. But we said it then and we’ll say it again now – you should only attempt trade shows and expos alone as an absolute last resort. If you really want to make the most of expo season, it’s a great idea to tackle it as a team. But that doesn’t mean you should just send anyone. 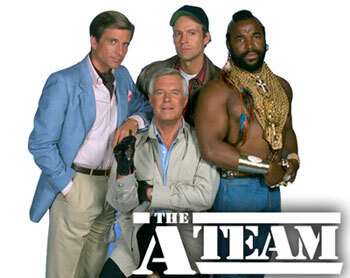 Here’s how to assemble your expo A-team. Your initial instinct might be to simply send your sales team. But business expos aren’t just sales opportunities. They also offer a fantastic opportunity to network with key influencers in your sector, as well as a chance to get a good idea of the current state of the industry – who’s on top? What sort of trends are developing? What sort of conversations are taking place? So as well as your specialist sales staff, it’s also a good idea to identify and champion your most sociable employees – those who have the warmth and charisma that’s essential for effective networking. And if you know there’s going to be a media presence at the expo, make sure you send someone who knows how to handle this sort of communication. You might also send an employee who you know is a good observer – the sort of person with impeccable attention to detail who’d be able to spot emerging trends and themes across the exhibition. And if you’re sending any products to give practical demonstrations – or even a laptop – make sure you send someone who can offer technical support should anything go wrong. No matter who you send to the expo, it’s vital that everyone you send is motivated and committed to success. Surprisingly, not everyone’s keen to take time out of their loaded schedule in order to spend a hectic day in a noisy exhibition hall. Yet some people relish the challenge, and love the change of scenery. They’re the people you should be sending. If just one person on your team doesn’t want to be there, their pessimism might spread, leaving everyone feeling listless and demotivated. But if you make sure that everyone wants to be there, you’ll have quite a powerful weapon on your hands – a motivated team of driven individuals keen to get results. Also, people are much more likely to engage with happy and motivated people at expos. If you send people who really don’t want to be there, don’t expect to see many results. Don’t send newcomers. Send those who have been with you for a while. Send those who know your business and your products inside out, who are fully invested in your mission, and who’ll be able to answer every conceivable question that might be asked. We’ve already offered our advice on preparing for an exhibition, but it bears repeating that you should never attend an expo without a clear plan in place. What are you trying to achieve? More clients? More sales? Are you trying to promote a specific product or service? Or are you simply planning on letting the world know that you exist? As we mentioned in our post on expo fatigue, the success of your expo hinged on how well you can stick to this plan. So it should go without saying that, once you’ve identified your goals, you should share your plans with your entire exhibition team. Communicate your strategy and everyone can do their bit to ensure that your goals are achieved. You should also make sure that everyone’s up to speed on everything that might be discussed at the exhibition. So provide ample training on the latest products and services that are in the works, on how to handle any potential problems, and on the key message and image that you wish to present. A good plan will also include a solid schedule that gives every member of your team an opportunity to rest and recuperate while ensuring that your stand is occupied at all times. Creating a great impression at a trade exhibition involves much more than making sure everyone’s dressed smartly, and it involves much more than getting a professional-standard exhibition stand – though these things are important! It’s equally important to consider certain questions of etiquette. When briefing your team, emphasise the importance of polite and courteous behaviour. Let them know that it’s a bad idea to show up late and dishevelled, and that eating, drinking, or aimlessly browsing mobiles while manning the stand won’t exactly create the best impression. At RAL Display, we’ve helped hundreds of businesses to plan thousands of trade show and expo appearances. 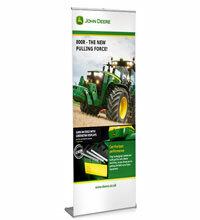 Over the past few decades, we’ve learned a thing or two about the sort of teams that can make an expo a success. 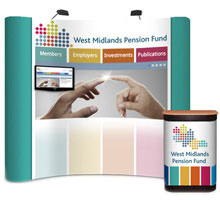 So if you’d like a bit of advice on building your expo A-Team, or if you’d like us to design an eye-catching stand for your exhibition, get in touch! 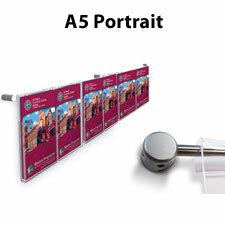 Call us on 0116 255 4640, or email sales@ral-display.co.uk.